As always, Rihanna’s name is a mainstay in the pop charts. Setting a legacy that labeled her as the undisputed queen of pop cultural influences, as well as distinct musical choices, Rihanna remains to be very popular even after her first ever hit single Pon de Replay. Year by year, she proves that her musical skills can keep up with the musical evolution. And apart from her professional fame because of her music, her personality is always on point. So, it’s time to coast through some of Rihanna’s most influential quotes, as we take you to this collection. 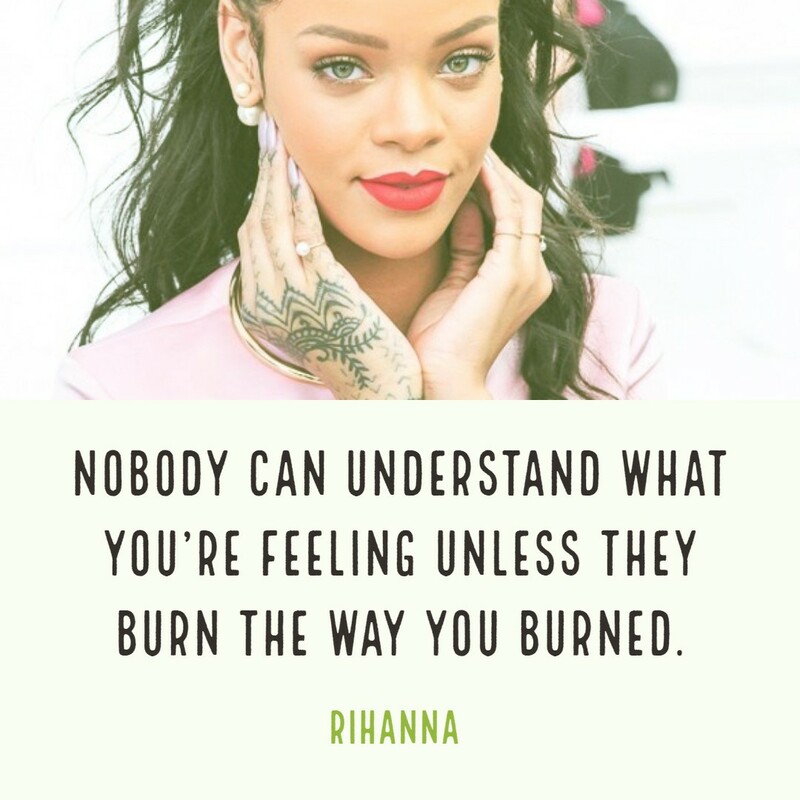 Nobody can understand what you’re feeling unless they burn the way you burned. I stand up for what I believe in, and a lot of the time that can be against people’s opinions. I think a lot of people are afraid of being happy because of what others might think. Let go of the things that make you feel dead! Life is worth living! If I cry, it’s because I’m very angry and I can’t do anything about it because I’ve run into a dead end. That’s when the tears would come down. It’s nice to look back on your life and see things as lessons, and not regrets. Hurt me with the truth. Don’t comfort me with a lie. Be a girl with a mind, a b**ch with an attitude, a lady with class. The music industry is always a tough game, but Rihanna vaults over the competition with her professionalism and unique personality. A protégé of the renowned veteran rapper and music mogul, Jay-Z, this has helped Rihanna build a mark in the musical industry. Over the years, she has ventured into other fields like song writing and acting. Further, her personal moments, including some unfortunate ones, add up to her fame. And as one of the most sought-after pop icons, Rihanna is still considered as one of the best-selling artists of all time.